I really love this stylish chrome desk lamp. 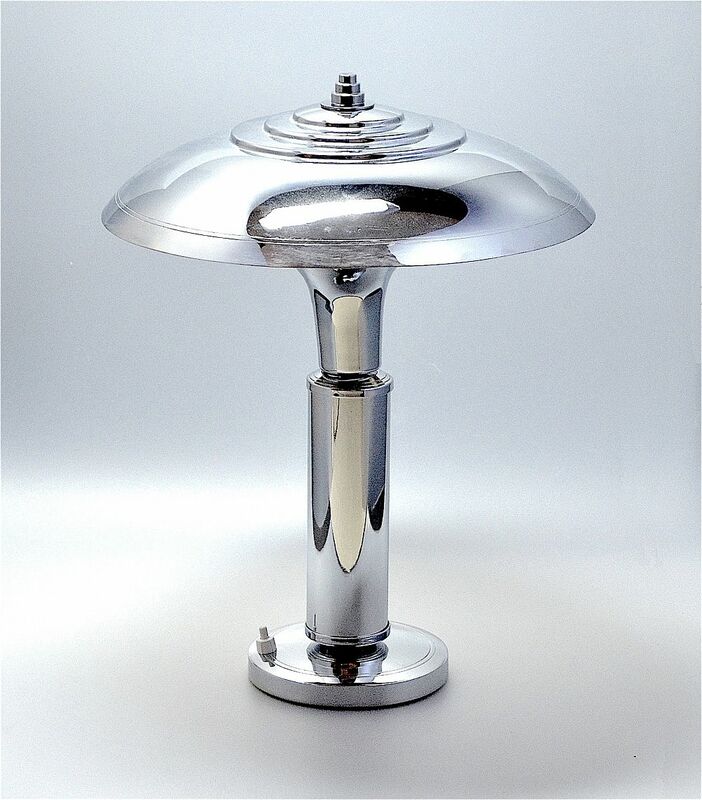 The round chrome base has two incised rings running around the outer rim and supports a central chrome column the top of which has two incised rings running around the outer edge. The column supports a beaker shaped chrome bulb holder. The domed chrome "shade" has two incised rings running around the outer edge and a 3 tiered top with a 3 tiered fitting that holds the shade onto the chrome bulbous shade holder. We have been able to retain the origin white composite switch. Although I have described this as a desk lamp its streamlined elegance would fit anywhere.